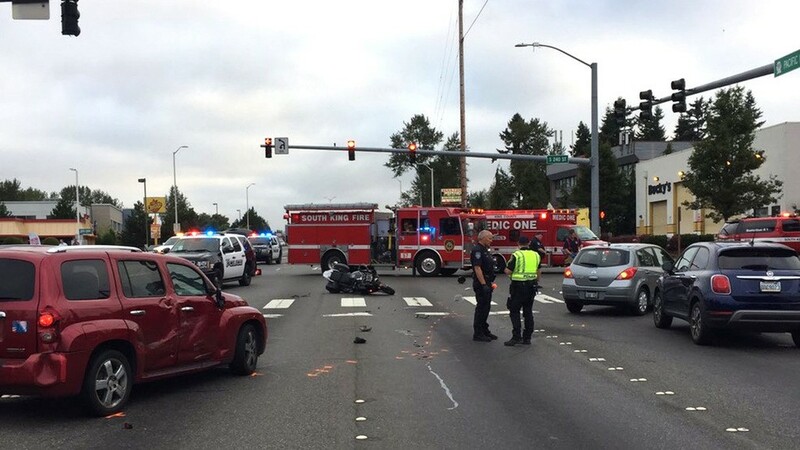 A motorcyclist is dead after a suspected drunk driver collided with him last week at a busy Kent intersection, according to police. A police investigation found that the DUI driver, a 61-year-old Auburn man, was going north on Pacific Highway South at around 6:45 a.m. when he attempted to change lanes just before the intersection at South 240th Street. As he switched lanes, he collided with the motorcyclist who was traveling in that lane. The motorcyclist, a 65-year-old Des Moines man, was thrown from his bike and killed. He was pronounced dead at the scene. The drunk driver was booked into King County Jail for investigation of vehicular homicide. There is no excuse for driving under the influence, and most Americans understand that driving after ingesting drugs or alcohol is illegal and carries harsh penalties. Those who break those laws are more likely to cause fatal accidents, and can be charged with serious crimes. Unfortunately, drunk driving accidents are still too common. In Washington State, 42 percent of all fatal motor vehicle crashes involve a driver who was under the influence of alcohol. It is possible that after a fatal accident a driver will not face criminal charges if they weren’t under the influence, with disregard for the safety of others, or driving recklessly. If the at-fault driver was doing any of those things, they may be charged with vehicular homicide in Washington State, which is a Class A felony. Vehicular homicide cases will proceed through the criminal court system. The at-fault driver would likely receive jail time as a penalty, as well as heavy fines. The maximum sentence for a Class A felony in the state is confinement in a state correctional institution for a term of life imprisonment or fines up to $50,000. As previously stated, these accidents – particularly when a vulnerable motorcycle is involved – often cause serious injuries or death. Victims may be able to receive compensation for medical bills, missed work, lost future earnings, as well as other damages, by filing a civil claim against the drunk driver. Hiring a personal injury attorney that specializes in representing injured victims of drunk driving accidents is a wise move. Navigating these complex incidents can be stressful, and an experienced attorney can fight for compensation while you and your family recovers. Contact Attorney Chris Davis and the team at Davis Law Group, P.S., at (206) 727-4000 or use the form on this page to schedule your free legal consultation.